The daffys are just starting to roll out their glorious carpet, and Carey stopped for a moment at the end of the lane to grab these three for me. I snapped a few shots and put this one up on my DeviantArt page. 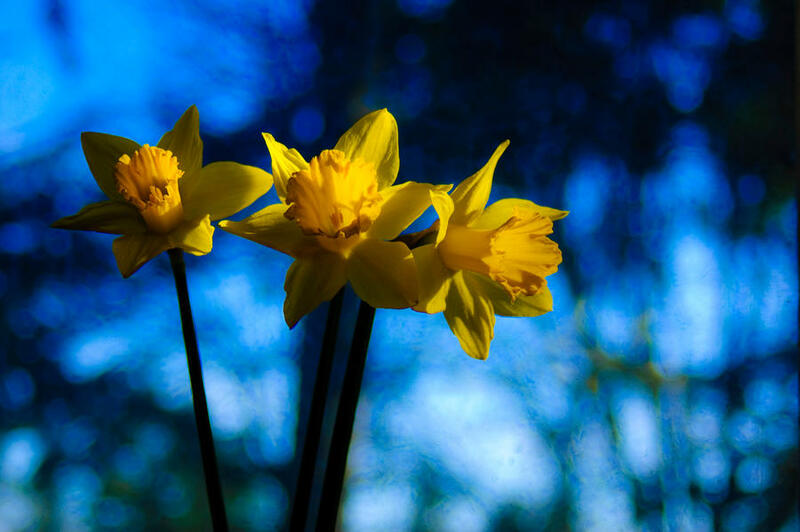 As I said there, “Three daffodils, carelessly arranged in a water glass and sitting in the sill of a dirty window, still demonstrate that beauty can be found everywhere.” That’s what I love about daffodils! Enjoy, folks! Winter is over, and spring nears!